Did you know the #1 team for Berkshire Hathaway HomeServices Georgia Properties is located right in the heart of West Village? 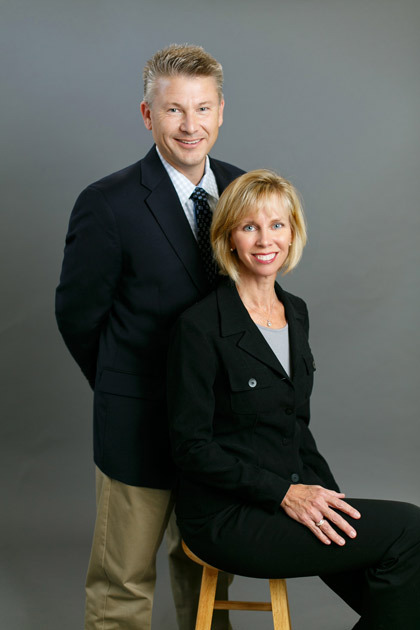 In fact, owners Jill and Dan Petersen are on the roster of 2014’s Who’s Who! See the great write-up below and then stop by to meet them in person! Stop by suite 1013 anytime and ask for Jill or Dan! The collaborative chemistry of Jill and Dan Petersen is unmatched in Atlanta. In 2013, the nine-member, family-owned business, with annual sales goals of $50 million, demonstrated its effectiveness, ranking No. 1 among Berkshire Hathaway HomeServices Georgia Properties teams. Both Jill and Dan recognize the other’s strengths as well as weaknesses, which is why each is positioned to leverage their particular skillset. As the dedicated CEO, a personable Jill focuses on the buyer side of the business – especially in Cobb and Fulton County – and has built a strong rapport with other agents around the nation. As CMO and CFO, Dan works on the sales and marketing side, using his extensive business experience, analytical background and technological skills to drive growth and sales. Working in an international hub like Atlanta, the Petersen’s see themselves as fortunate. Through strategic positioning, they’ve been able to take advantage of the city’s diversity, cultivating a strong relocation reputation and building relationships with a number of high-level Fortune 500 executives. Jill and Dan are proud of the success they’ve found and the team they’ve built, penning their achievements on three important factors: being professional, being honest and being relatable.